With informed server selection, virtualization software implementation and proven management best practices, IT managers can rest assured that their server hardware is being used efficiently. 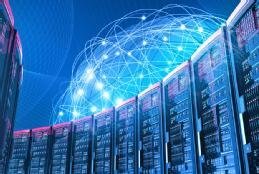 To start, virtualization managers should review recent data center technology trends that enable more efficient remote office/branch office (ROBO) server virtualization and management, such as the increasing use of software-defined WANs, hyper-converged infrastructure, and improved backup and disaster recovery devices. Once managers familiarize themselves with the technological landscape, they can then take steps to review and select the server hardware that best meets their current and future business needs. Microservers are a good option for ROBO locations because they offer the best compromise in terms of performance, cost and space. When it comes to managing ROBO servers, managers should carefully consider domain controller placement, VPN connectivity, management tools, monitoring software and automation. These factors and more contribute to avoiding a single point of failure and easing ROBO site management. This handbook covers the ins and outs of choosing, implementing and managing server hardware for running virtual workloads in ROBO locations.